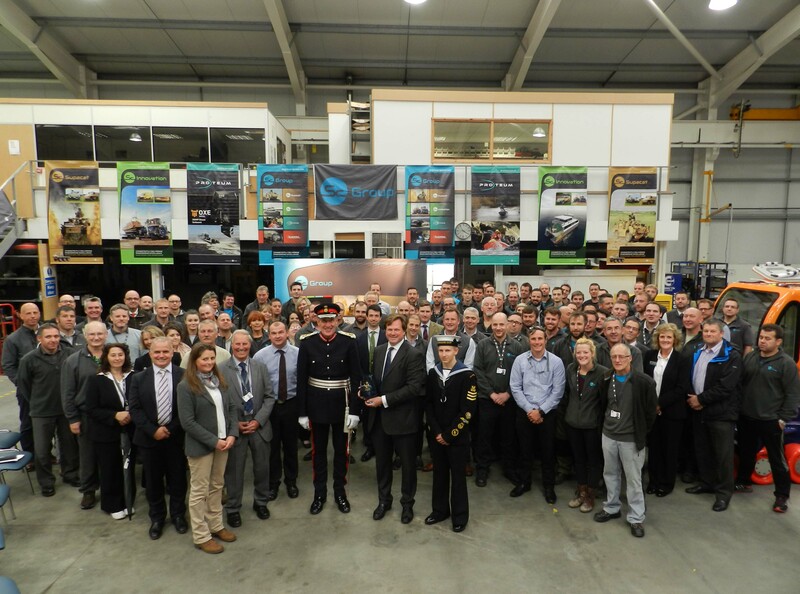 Supacat, part of SC Group, was formally presented today with the Queen’s Award for Enterprise – International Trade for Outstanding Short Term Growth – by the Lord Lieutenant of Devon at a reception at its Dunkeswell headquarters attended by some 200 staff and guests. 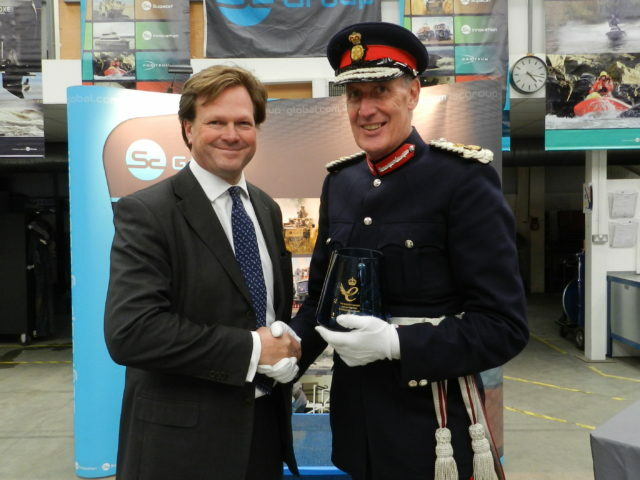 Nick Ames, Chief Executive of SC Group, received the Queen’s Award’s crystal bowl on behalf of the company from Mr David Fursdon the Lord Lieutenant. 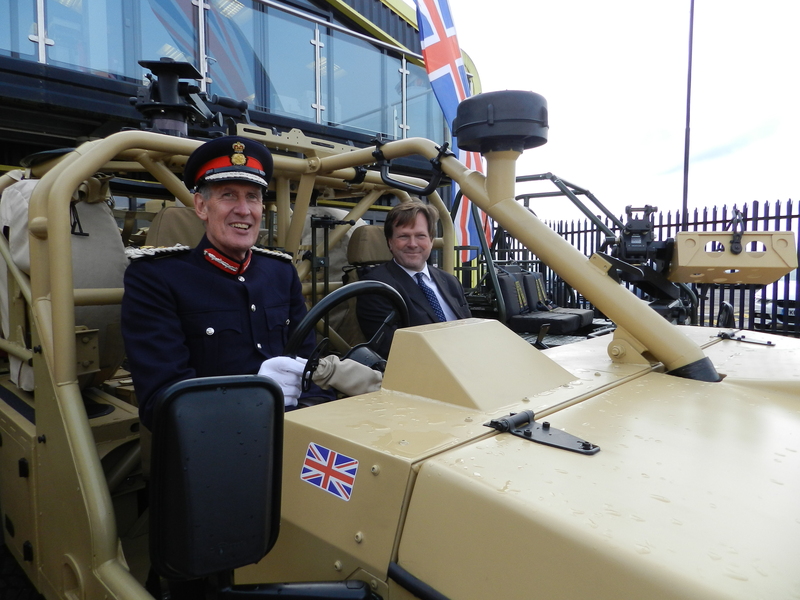 One of Britain’s few military vehicle designers and manufacturers, Supacat’s special forces vehicles have a reputation for being among the best in the world. The company’s recent export success has earned it the UK’s most prestigious business award. A large order from Australia followed by contracts from Norway and New Zealand for its Special Forces HMT Extenda vehicle grew the company’s overseas earnings from £2.5m to over £32m over the last three years. The vehicle is one of Supacat’s family of military high mobility and protected vehicles, which include the acclaimed `Jackal` and `Coyote` operated by the UK Armed Forces. “It’s a huge honour to celebrate this award with all our staff, distinguished guests from local government, our customers, supply chain and professional services providers. The long cycle involved in developing our products means we’re here because of the hard work started 30 years ago by our founder, Nick Jones, and his team; and the dedication of our current staff will no doubt gain similar recognition in the future”, said Nick Ames. Privately owned, Supacat, part of SC Group, has been trading for over 30 years in the heart of Devon. 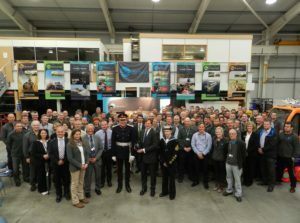 Over the last decade has grown its core defence vehicle business and expanded its engineering services into the nuclear, energy and marine sectors. With offices in the UK and Australia, Supacat and the wider SC Group employ over 200 people and have exported products and services all over the globe.